This is strictly for professional. Do not try this at home. Any archaeology interested CVF members that know the answer?? Hurtigruten Finnmarken spent a day sheltering in Aalesund. Cool image as well from smp-article in the link above! There are a lot of crazy people around. 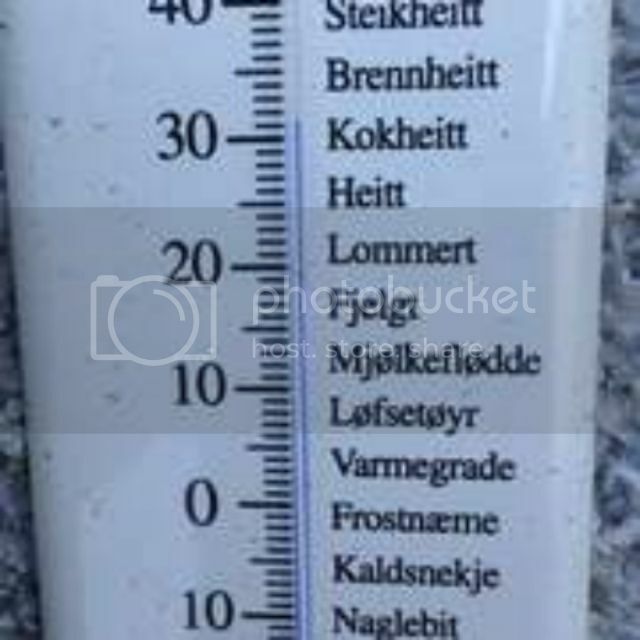 Thermometer is texted in the local dialect for ease of understanding. The temperature shown is real in any dialect though. PS> Seagulls are known to grouch themselves until they burst. WATCH YOUR APPETITE!!! Umm... MY appetite is actually quite miniscule although I greatly enjoy my food. On the other hand I WAS tempted into a fish restaurant while out shipspotting last week!